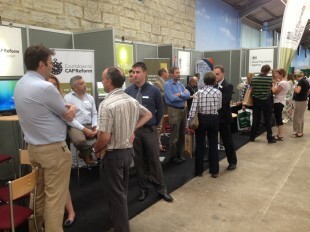 It’s taking place today and you can find us talking about CAP Reform to visitors on the joint Defra stand – Number 166. In his opening address this morning, farming minister George Eustice thanked farmers for their role in ensuring food security, stressed productivity was key and committed to ongoing initiatives by Government reducing regulation. Visitors to our stand have been keen to hear more about the Basic Payments and new environmental schemes, greening, and the new online CAP Information Service to come. We've been updating farmers on the latest thinking, telling them when we expect final decisions to be made and doing live demonstrations of the private beta of the new service. There's a huge appetite for more information so we'll be attending the final few summer shows and sending out the latest CAP leaflet soon. Then we'll be starting a tour of the shows around the country this autumn, so we hope to see you there.